Courrejoilles Peninsula. from Mount (Mt) Azimuth. 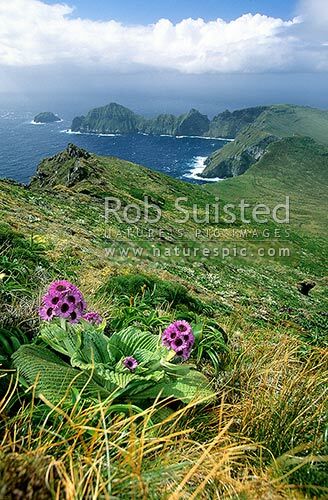 Pleurophyllum speciosum in front, Campbell Island, NZ Sub Antarctic District, NZ Sub Antarctic Region, New Zealand (NZ), stock photo.